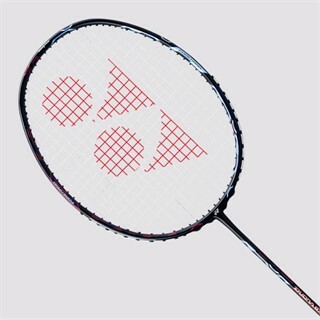 The Yonex Duora 8 XP uses two frame profiles to achieve the benefits of control and speed depending on which side of the racket is used. The Aero and Box frame combines solid hitting and quick swing. The racket has a control support cap giving the racket an 88% wider flat surface compared with an ordinary racket for easier gripping, fast follow-through and the sharpest maneuverability. The Duora's have a super slim long shaft, the slimmest ever produced by YONEX it vastly reduces air resistance whilst providing maximum feel. The new Built-in T-Joint is manufactured from a special lightweight plastic combined with epoxy resin and foaming agent that enhances quality and performance by increasing the stability of the shuttle on the string bed and through the air. The Isometric head shape equalizes the length of the main and cross strings in the string bed, enlarging the sweet spot for more consistent accuracy. Yonex Duora rackets are 10mm longer than any other yonex badminton rackets. Free delivery available on Yonex Duora 8 XP! Order now! Do you own the Yonex Duora 8 XP?